It has nearly been 6 months since Colorado legalized cannabis. Figures are in, and it turns out profits are up and crime is down – who’d have thought? So, Colorado has not been overrun with zombie potheads just yet! In fact official, figures suggest that the state is flourishing since cannabis was legalized for recreational use. In case you have had your head in the sand - not long ago, the state of Colorado implemented laws that have resulted in the regulated cultivation, sale and taxation of recreational marijuana. Scaremongers and naysayers would have had us believe that it was the end times, and that the end is nigh – but it turns out things are working out quite well. Take the city of Denver for example. Located within Colorado, Denver has seen in influx of cannabis use from both tourists and citizens. However, the most recent figures show that total crime has fallen by 10.1% compared to the same time period as last year. This may not be a direct result of weed, but legalization certainly hasn’t seen an increase in crime – making those who said it would increase crime and trafficking look pretty silly. Is the crime rate falling because people are drinking less alcohol? Getting more chilled out from the weed? Possibly - but most importantly the legalization is pulling the rug under the feet of violent gangs. Surprisingly, the figures do show that assaults have increased ever so slightly, but all other instances of violent crime have decreased. It may not be to do with weed at all, but what is important is that it has been shown that legal weed is not increasing crime, and certainly crippling the black market trade. This isn’t the only positive to come out of Colorado since legalization. 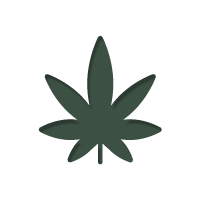 Tax being generated from cannabis sales are on an upward trend, with January seeing $1.4 million in sales tax, February $1.43 million and March $1.898 million. And tax isn’t the only way cannabis is benefitting the economy of the state. Legalization has created a lot of jobs. Be it growers, trimmers, sales clerks, van drivers, journalists or admin workers (to name but a few), marijuana legalization has created a entire industry with a wide array of jobs – putting money in the pockets of the working man as well as the government. Furthermore, the reallocation of police resources from hounding cannabis users to tackling crime saves millions in tax payer’s money, or more precisely - see it being used where it matters. Tax revenues from marijuana sales are not disappearing into a black hole either. There are plans to spend $33 million of tax revenue on schools and education on cannabis education. There is even a slice of the pie going to the police, who will use it to crack down on drunk driving and state boarder smuggling. Certainly Colorado is setting up to become a prime example of legalization does. So far, things are looking bright.